Imagine a place where the sun is always shining and the palm trees are doing a happy little dance. The water is so piercingly blue you can see straight through to the bottom of a bed of rockless sand. A cool breeze kisses your skin and fluorescent tropical fish swim by, weaving in and out of your legs as you wade in the calm waters of the shoreline. No planes fly overhead and no cars can be heard roaring in the distance. In fact, there is no one else in sight- it’s just you and Mother Nature. The sun starts to set, cascading across the sky in a canvas of the brightest colours you have ever seen. Uninterrupted by boats or big buildings, all you see is simply the vast horizon casting a gradient across the sky, morphing into a mix of orange, crimson, fuchsia and purple for as far as the eye can see – a true artist’s palate of the sky. By dusk’s end you can only hear the sound of the waves gently crashing onto the shore, as darkness envelopes the view for as far as you can see. The stars begin to glisten, one by one emerging from behind the shadows to put on a spectacular show. This is true paradise. This is just another day in Fiji. The 333 islands that make up the South Pacific nation of Fiji each offer a unique set of characteristics; from lush forests and volcanic mountains to quiet coastlines and some of the world’s best sites for scuba diving, there really is something for everyone. Famous for its soft coral diving, white sand beaches and pristine natural environment, Fiji is a haven for conservation. It’s also well known for its fancy bottled water, popularity as a honeymoon destination and perhaps even their amazing Rugby team. The air is so fresh here and the pollution so minimal that, as long as it’s not too cloudy overhead, at nightfall you may see breathtakingly detailed views of the Milky Way galaxy. Many people have learnt of the spoils this island nation can provide a luxury traveller, as it’s often labelled one of the most exotic and remote destinations on the planet. Yet so few realise that the charm of these friendly people and their gorgeous country can be equally enjoyed on a backpacker’s budget. In fact, it’s quickly becoming a common destination for backpackers to visit alongside New Zealand and Australia. Yep, you heard that right. How, you ask? Read on to learn all you need to know about backpacking your way through Fiji so you can experience one of the world’s most private paradises all without breaking the bank. Think of this as your ultimate guide to one of the world’s ultimate destinations. The people of Fiji have a reputation as being the friendliest people in the world. More than half of Fijians live below the poverty line, yet you would never guess it because of their vivacious love for life and optimism. From their colourful clothing to their big Bula smiles and extreme hospitality, Fijians love to share their culture with guests to their country. They are very proud to be from Fiji. Many have strong family and community values and believe in sharing everything. Don’t be surprised if a local invites you back to their village to meet their family – that’s just the Fijian way! Since the climate is so mild and warm, fresh food is abundant, too. There’s a common saying in Fiji that you’ll often hear from the locals – Sena Na Lena. It means no worries, no problems. Here on island time, that saying rings true. If you want to learn more Fijian phrases, the locals will love you for saying some of their common catch phrases. “Bula “is the first word you’ll need to know. You’ll hear it often, as it means Hello, Welcome, and a lot of other things to Fijians- you’ll be saying it in no time once you’re on island time! The last one is a goodbye you will hear quite frequently, as locals sing it to guests every morning when they depart their island. It’s a bittersweet song and a big part of their culture. Now that you’ve got a bit of lingo down pact, the next thing to know is how do you get here? First things first- you’ll need to get a flight to Nadi. It’s on the main island, called Viti Levu, and is home to the country’s only international airport. There are lots of flights that come from New Zealand and Australia (even on the region’s popular budget airline JetStar), plus other hubs around South East Asia. Your best bet for finding cheap airfare is via Auckland, NZ (the closest major city) but occasionally you can find an affordable flight from Sydney, Melbourne, Singapore or, more rarely, Hong Kong, Tokyo and Los Angeles. The other way into Fiji, though not in the realm of a backpacker budget, is via the capital city and major port city of Suva. You likely won’t visit Suva, unless you’re interested in one of the group tours around the mainland (which I’ll explain more a little later). But it’s worth noting that sometimes backpackers find their way here for more volunteer opportunities or as a gateway to some of the eastern Islands- it all depends on the itinerary you want to craft. Regardless of how you enter Fiji, you will definitely want to venture out of the cities so you can get a taste of the more idyllic, picture perfect beaches and slower pace of life. There are a few options when it comes to an itinerary for your adventures around the country, and each route depends on what it is you really want to do while you’re in Fiji. Honestly, is there ever a bad time to visit paradise? No matter when you’re planning to visit Fiji, you can guarantee warm weather at any time of year in this tropical oasis. The question of when is “best” simply depends on what else you’d like to do on your holiday. The island nation sits very close to the equator so you can expect consistent temperatures year-round, hovering around 27 C /80 F on average. Because it’s in the Southern Hemisphere, “Summer” (or the slightly warmer months) falls from December to April and “Winter” (the cooler, drier months) are between May to November. In Summer, temperatures get up to 34 C /91 F (but usually no higher than that). The downside of visiting during summer is that you may have to deal with a few tropical storms, but they tend not to last as long as the common heavy downpours that happen in South East Asia over rainy season. However, since this time of year falls over the Northern Hemisphere’s winter holiday season (Christmas, Boxing Day, New Year’s, etc) your flights may be more expensive. The same goes for July to September, as it’s winter for Australians and Kiwis, so you may see lots of families around this time and increased airfare from regional carriers like Air New Zealand, Virgin Australia or Qantas who all frequently fly into Nadi. The shoulder season from late October to Early November may be your best bet for travel because you won’t have to worry about the rain, nor the price hikes and larger crowds or busy season. That being said, since temperature isn’t a big factor, you may want to plan your trip around a few seasonal activities instead. If you’d like to swim with manta rays in one of the only parts of the word where you can do so, this season is typically from May to October. If you want to swim with sharks, you can do this year-round but since bull sharks mate from November to December, you’re less likely to see them then. If you’d like to ring in New Year’s Eve in one of the first countries in the world to celebrate the holiday, of course that’s an option, too. The climate in Fiji is tropical marine and warm year-round with minimal extremes. Since Fiji only has two seasons, the weather is pretty much what you’d expect from a tropical paradise; warm, warmer, or hot. The lowest temperatures in Fiji are during July and August where it falls between 20-26 C/68-78 F. It rains approximately 4 days a month, so you are nearly guaranteed some sunshine on your tropical vacation. During warmer months, from December to February, the temperatures range from 22-30 C/72-86F on average. It does rain a lot more during this time, with approximately 15 days of rain a month. It tends to rain for an hour or two in the early morning, so hopefully it’s nothing to worry about! You can swim in Fiji year-round, with water temperatures ranging from 23-30 C/73-86F. It’s easy to get into Fiji, as they allow travel without a visa from over 100 countries. You can stay for up to 4 months on a free entry Visitor Pass and they make it easy to extend your stay beyond that. You can apply to stay for an additional 2 months, up to 3 more times. So, if you wanted to spend 8 months in Fiji, essentially you have that option without much hassle. They also have the standard rule of most nations that require your passport is valid for at least 6 more months from the date of travel. To be on the safe side, the Fijian government also recommends you have the following items with you to guarantee free, visa-less entry. Expect smiling faces, tropical t-shirts and a traditional Fijian song and dance greeting you upon arrival at the airport before you’ve even left the terminal. There’s a reason why Fijians have a reputation as the friendliest people on Earth. They certainly live up to this stereotype! If you’re lucky, they may even hand you a handmade shell necklace. The locals love to give guests the warmest “Bula” they possibly can. The entire country of Fiji has around 900,000 people. 85% of those people live on the mainland of Viti Levu, so as you can imagine, the other islands are pretty remote. And most of those people on the mainland live in one of three cities: the capital of Suva, the home of the international airport, Nadi, or the center for sugar cane production, Lautoka. Nearly half of those islands don’t have permanent residents on them, and even more than that may not have a soul on the island. It’s extremely likely that you won’t have to worry about transportation as soon as you land in Nadi. If you’ve pre-booked your accommodation, chances are high that there will be someone waiting for you at the airport to pick you up free of charge. It’s the Fijian way. When it comes to choosing where to go, the most common (and affordable) option for backpackers travelling to Fiji is to visit the Mamanuca and Yasawa Islands, dotting the west coast of the main island, Viti Levu. They’re easily accessible from Nadi through a company called Awesome Adventures. They operate the only mode of transport between each remote island (unless you have the funds to hire a private plane), the big, the bright, the yellow Yasawa Flier. The Yasawa Flier is a hop on, hop off boat service that travels along a string of islands that draw a big backpacker crowd. Each island is slightly different in size, personality and service. The Flier is the only way to get from one island to another; these are some of the most idyllic and remote islands on the planet. It’s amazing that they’re even accessible in such an affordable mode of transportation. Every day the boat kicks off around 8 AM from Nadi, where the Flier makes its way North, stopping off at various islands en route up to Nacula, one of the northernmost islands in the Yasawa chain. Total trip time takes 5 hours, and then the boat turns around to pick up passengers headed back towards Nadi in the afternoon. It only stops once a day in either direction, so you really get used to the slower, mellow pace of life here. You can hop on Yasawa Flier for a day offers two options for travellers- the first is simply transportation, using the boat as a means from A to B. As with most things, if you buy more days, you get more bang for your buck. The only catch to purchasing a transport-only Flier pass is that you must have your accommodation for the night pre-booked before getting on board the boat. They call this plan the Bula pass. Unless you only have plans to stay in Fiji for a few days, you should get one. It enables you to island hop at a bit of a discount, for anywhere from 5 to 15 days. If you opt for a different part of Fiji, half the adventure will be in getting to your destination. Take Taveuni, for starters. It may be big (the 3rd largest in Fiji), but it’s definitely still remote. It’s situated in the country’s North East corner of the archipelago. Taveuni has a lot of great hiking, snorkelling, shipwreck dive sites and rainforests. Its major unique feature is likely the fact that it is one of 3 small pieces of land on the entire planet that straddles the International Date Line. The line itself was drawn up by explorers to delineate where we celebrate the end of one day and the beginning of another. This part of the world was chosen because of its remoteness and relationship to Greenwich Mean Time in the UK at the 180th parallel. To make life easier, everyone on Taveuni uses the same time zone and date as the rest of Fiji. That said, there is a place on Taveuni where you can technically put one foot in “Yesterday” and the other in “Tomorrow” and get that iconic photograph of you being like a real-life version of Marty McFly. Taveuni is relatively hard to get to. You have to be flexible with your travel plans and up for the adventure, but if time is on your side, the main way there is via Suva on the mainland. Here in the port city you’ll find a cargo ship that allows passengers to hop aboard at an affordable price of $60 (as of the time of writing). It only leaves 2x a week so be sure to triple check your calendar. Travel in the open water will often be choppy, so be extra prepared if you’re the type who gets seasick. It’s worth noting here, for transport to Taveuni and also more generally speaking, that flying around Fiji is not cost effective. Fiji Airways is the only operator for domestic travel, and they upcharge their flights sometimes to $700+ a seat just for a ~1-hour flight. The logic behind this is that Fijians often don’t travel from island to island, especially by plane, so to make up for overhead costs they have to charge an exorbitant price to tourists. You might be lucky if you’re booking your trip far in advance, but more often than not, the expensive flights are all the more reason to stick to one part of Fiji for your adventure. If you’ve backpacked around New Zealand at all, you may be familiar with the green Kiwi Experience bus. The same owners have created a similar way to get around Fiji, the FeeJee Experience, which offers a mix of tour options from 4 to 11 days long. As of October 2018, the shortest trip (accommodation included) costs FJD $615 ($287 USD) and the longest costs FJD $2,035 ($949 USD). Most FeeJee Experience excursions take you around Viti Levu, but the longer trips also include a leg that visits the Yasawas (Mantaray, Blue Lagoon and Beachcomber Islands). Something else to note is that Sundays in Fiji are seen as a day of rest, so don’t be surprised if many villages and towns are extra quiet on a Sunday. The Yasawa Flier still runs as planned, but be sure to check other forms of transportation around the country if you’re planning to travel on a Sunday as sometimes things shut down. The best part about hostels in Fiji (at least those not on the mainland) is that you’re actually staying at resorts, for backpacker prices. These hostels are beautiful properties with pools and beaches and an abundance of activities (some of which are included with your stay). It’s arguably one of the only places in the world where honeymooners and backpackers will share dinner at the same dining room table. If you do decide to stick to the popular backpacker route, while you’re booking your transportation with the Yasawa Flier, take a look at how they break up the Mamanuca and Yasawa islands into 2 levels of service- affectionately called 1 and 2 coconut properties. Think of 1 coconut as true backpacking, while 2 coconut properties are more like “flashpacking.” 2 coconut accommodation tends to offer nicer rooms, usually with air conditioning and a free towel on your bed. Some even offer 2 towels, one for the beach and one for your shower. At the 2 coconut places, you won’t have to worry about getting the top bunk (as they don’t bunk the beds on purpose), you’ll likely get a night table and a mosquito net and a reading lamp, and because you’ll be sharing bathrooms with those who pay hotel prices, you may even snag some free shampoo and conditioner. 1 coconut properties are no frills, and often locally owned so you’re likely to meet the family who runs the property. At either type of accommodation, you’ll often find the local staff hand picks fresh frangipani and hibiscus flowers daily and puts them in the bathroom and on your bed – talk about fresh service! It may be overwhelming to choose your islands, and that choice depends on what you’re after, but for the most part, here’s a brief rundown of what to expect. Not many slices of paradise let you sleep on the beach for $25 a night, so no matter where you choose, know that Fiji is a really unique and special place that will hopefully exceed your expectations. Most backpackers will fly into Nadi, possibly spending a day in and around the city having a wander or doing a mini excursion, then spending 1 night in Nadi before jetting off to the Yasawas. The hostels in Nadi are extremely affordable: a bed will cost you $7 and they’re typically all right next to each other on a small street along the beach. For food, there’s a few little cafes to choose from, plus a local grocery store, but generally you won’t want to spend much time here: the islands are where the real fun begins. Popular options for Nadi hostels are Smugglers Cove or Bamboo, both right on the beach and less than a 10-minute cab ride from town. If you’re looking for a really intimate experience, this is it. South Sea is so small you can walk around the whole thing in less than 5 minutes. Actually, more like 20 steps. When you catch your first glimpse of South Sea you’ll be surprised that they even managed to build accommodation on such a tiny little island. This is one of the closest to Cloud 9 and the Mamala Beach Club, not to mention Nadi. It’s also one of the most affordable islands, with all the extra activities included for free (snorkel gear, kayaking etc). The good part about South Sea is just how close it is to Nadi. As a negative, you’ll likely encounter a lot of day trippers. But as a bonus, if your flight out from Nadi leaves late in the evening (say 7 pm onward), the timing of the Yasawa Flier boat fits well. So, you can actually spend your last night in Fiji on South Sea instead of having to go back to Nadi to soak up one more morning of bliss before you have to leave the country. Book your stay at South Sea Island Hostel for ultimate Island vibes. This group of volcanic islands are located just north of the popular Mamanucas and make up the border of Western Fiji. The Yasawa Islands are home to an abundance of natural beauty, the perfect place for a digital detox. With postcard perfect beaches decorated with green cliffs and rocks, as well as world class snorkelling spots, The Yasawa Islands are a must visit destination for anyone looking to experience some of the best beaches in Fiji. This is the home of the famous shark diving experience. You can dive with reef sharks even if you’re not SCUBA certified. If you’re not certified, they will simply help you practice and get comfortable in the shallow reef water with a PADI certified instructor before going out to feed the sharks. It’s an incredible experience that you can only get in a handful of places around the world so it’s well worth the cost if you can afford it. Before you go out, you do a mandatory shark training, which is actually like a free class on shark biology. It helps you understand the animals better, and no one has ever gotten injured in the history of shark diving on the island, so it goes to show that maybe they’re not inherently dangerous animals after all. There are plenty of places to go for a swim, too – take your pick between the seaside pool or calm ocean waves. Idyllic hammocks sit on the island’s edge, too, so you can have a perfect seat for sunset. Book your stay at Barefoot Kuata. Further up the Yasawa chain is Octopus Resort, an Australian run idyllic place to rest your feet in Fiji. Here, their calm reef is protected as a marine reserve, so expect to see even more animals swimming in the shallows. It’s well known for a calendar full of activities, which they divvy up into a few different groups: “Activities for the Soul,” include the tranquil and relaxing things, from board games to beach walks, spa treatments or full body massages. “Fiji Time” is all about the cultural experience, where you can learn how to basket weave, play rugby with locals or learn how to tie a sulu. “All Go or No Go,” allows you to participate in guided hikes or party night for a chance to win free shots at the bar. Being a 2-coconut property, extras are a bit more expensive here (like a $10 USD cocktail, for instance). Book your stay at Octopus Resort. The cousin of Barefoot Kuata, known traditionally as Drawaqa Island. This island resort is also famous for a unique animal encounter. From May to October you have the opportunity to swim with manta rays here, gliding along as they munch on plankton. You also have the option to do a shipwreck dive here. In 2016 there were two Chinese fishing vessels that were waiting to be demolished, but instead of throwing out the debris, someone had the great idea of turning them into an artificial reef. Now you can find over 30 types of fish in the wreckage. Book your stay at Barefoot Manta. Located in Nacula Bay’s tranquil lagoon, this aptly named resort is arguably sitting on the brightest water of all. They do a movie night in the common area where they literally tie a giant canvas between two coconut trees, lay out the cushions from the pool and hand out free popcorn for all to enjoy. It started spritzing rain when we watched our movie and the staff went above and beyond, retrieving umbrellas for us so we could continue to enjoy the film. Similar to Octopus, you’ll find a lot of activities on offer here. But being a 2-coconut property, food will be fancier (and more expensive). The good part about it is you’ll literally be fed a 3-course meal, with a delicious dessert every night! Book your stay at Blue Lagoon Beach Resort. Mana Island is another great option in the Mamanucas, but please note, it’s not part of the Yasawa Flier route. Ratu Kini’s Backpackers hostel is a well-known PADI backpacker, so for the Scuba Divers among us, you’ll have plenty of dive sites to choose from. It’ll also make for a great choice if you’re looking to stay close to Nadi and don’t want to stay at South Sea or Beachcomber, but probably not the best choice if you’re hopping around the islands as they require you use their own boat transfer to the mainlad. In addition to lots of SCUBA options, they offer a day trip to Castaway Island. It would likely be a 1 Coconut property since the daily meal plan is only $42 FJD per day. But you will have an additional cost of $160 FJD for a return transfer to the mainland. It’s something to consider if you’re an avid Scuba Diver. Book your stay at Ratu Kini’s Backpackers and Dive Resort. In Fiji they use their own form of the dollar (far more colourful than its American counterpart). Exchange rates are always changing, of course, but at the time of writing (October 2018) $100 FJD is equal to $47 USD or $65 AUD. Aside from your flight into Fiji, the two major costs of your trip will be your transportation and accommodation. A unique element to backpacking in Fiji that certainly has its benefits and drawbacks is the mandatory meal plan component at nearly all of the islands. In most of the Fiji Islands (including all of the Mamanucas and Yasawas), there aren’t any grocery stores or ATMs. This place is as remote as it gets. So, one of your largest costs will be the included meal plan at all hostel resorts, which offers you 3 meals a day, typically at a set time of 1-2 hours for breakfast, lunch and dinner. Some resorts may also have a mid-afternoon tea break included, too. The mandatory meal plan tends to be what most backpackers complain about, as we’re used to shopping at grocery stores and finding cheap, local eats in tiny little restaurants. But Fiji is so incredibly unique and remote that you don’t even have these options on many of the islands save for Viti Levu. There aren’t any grocery stores here. Food comes from the mainland, usually also on the Yasawa Flier. A mandatory meal plan will set you back about an additional $50 USD a day, depending on the resort. At the low end, a place like South Sea Island will charge $42 USD a day, or $90 FJD. It’s also much harder to find these rates online. If you book independently be sure to ask the resort – all meal plans are payable to the resort direct once you’re on their property. At the higher end, Blue Lagoon charges $57 USD or $122 FJD a day for the meal plan. When it comes to the meal plans, as soon as you can part ways with the ding to your budget, you’ll be pleasantly surprised by just how much you get for the price. The meal plan cost depends on which resort(s) you choose, of course the more luxurious places charge a bit more for meals. The nice thing about it is that you won’t have to think about money at all, really settling into true island time, because everything is either included in your accommodation package or you run up a tab to a credit card that you pay upon check out. Pro Tip: it’s a great idea to stock up on essentials before you leave the mainland. While they won’t let you cook dinner (and frankly, there’s nowhere to do so), you can bring your own bottled water (which would be much cheaper than buying it on all the islands). In the Yasawa and Mamanuca Islands you can experience backpacker or flashpacker level accommodation and food. As of October 2018, these are the prices for a Bula Combo Pass to pick and choose your hostels. These prices are valid until March 31, 2019 (all prices in Fijian Dollars). The only thing that doesn’t make sense about the way they’ve divided up the properties is that 1 coconut prices are higher, because food is included. 2 coconut prices appear lower at first, but the meal plan is separate (~$50 per day, per resort) so it will wind up being more expensive. 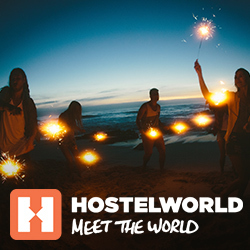 When I went to Fiji, I just bought a Bula Pass (transportation only) and decided to book a mix of 1 and 2 coconut hostels via Hostelworld on my own. It was a bit cheaper that way, too. And doing it on your own is the only way you can mix and match between 1 and 2 coconut level properties. Getting to Fiji didn’t cost me too much, especially considering I booked it less than 6 weeks in advance. I paid about $400 USD for round trip airfare from Sydney, but even that could be cheaper if I would’ve planned it further in advance. Fiji isn’t one of those great destinations for a last-minute traveller, like, say, Antarctica, that slashes the price of its cruises tremendously. Costs tend to go up, rather than down to fill any last-minute space. I spent nearly 2 weeks in Fiji staying in mainly 2 coconut places and spent about $114 USD a day. I feel like I could’ve definitely spent less, too, had I thought ahead and bought bottled water before getting to the islands, or stayed in more 1 coconut level hostels. I went to Fiji in March 2018 and wrote an article on my personal travel blog about it, detailing a cost breakout. The easiest option in choosing a destination will be the Mamanuca and Yasawa Island chains, as they’re easily accessible from the mainland, serviced by a daily boat (the Yasawa Flier) and each offers backpacker style dormitory accommodation starting at $20 a night, per person. The Mamanuca Islands are small, flat and very close to Nadi. If you’re pressed for time, they make a great destination that can offer a combination of remote tranquillity, a community of other backpackers (many of whom are solo travellers) and an array of activities to do, meals to indulge in and drinks to enjoy. Plus, a fun fact about the Mamanucas is that Tom Hanks’ film Castaway was actually filmed on Qalito, which is one of the islands you can stay at or visit for the day. While the Mamanuca and Yasawa Islands are certainly the most popular for their proximity to Nadi and relative ease of access, if you’re craving an even bigger adventure, and really want to get off the beaten path, you can try venturing over to Taveuni. Taveuni is the 3rd largest island in Fiji and is nicknamed the Garden Island, for good reason. It’s also known as the Soft Coral Island, so really there’s two big reasons to hang out here. The lush jungle and secluded waterfalls make this island an eco-tourist’s dream. There’s a big national park, Bouma, as well as a marine park called Waitabu on Taveuni. Both are great places to immerse yourself in nature. If you’re a keen diver, too, the famous Eel Reef and Great White Wall dive sites are amazing for their array of aquatic life. Split Rock is an adventurous dive that includes canyons and faults to circumnavigate. It’s part Fiji’s 100km barrier reef, Great Astrolabe Reef, with breathtakingly beautiful coral. You can also go for a surf at the King Kong Left surf break, which is in close paddling distance to land. On land you can spot any number of the 100+ types of birds here. They’re not afraid of humans, either, since they don’t have any natural predators. History buffs can check out the colonial village called Levuka on Ovulau. It’s listed as a UNESCO World Heritage site and has colonial-era buildings from the 1800s. Worth noting here just for the hilarity of it, but this is the actual island where Tom Cruise was stranded in Castaway. Known locally as Qalito, it’s part of the Mamanuca chain but isn’t serviced by the Yasawa Flier because they don’t offer any dorm style accommodation for backpackers. They’re really missing out. Each island hostel resort offers several activities a day, much like an all-inclusive hotel would. Most activities are free but a few come at an additional cost (such as a night snorkel that includes a flashlight and a guide to help point out to some nocturnal fish, octopus and other seafaring creatures.). If you’re really into activities, check out Octopus Resort- they’re known for having a jam-packed schedule of adventures every day. When I did night snorkelling there, it cost me $20. In general, you can snorkel and swim, kayak or paddle board in the calm and crystal-clear reef waters. Most islands offer a happy hour or two and all their bars include breathtaking views of paradise. Some even include night-time entertainment, such as traditional Fijian dancing and kava ceremonies, Hermit Crab racing, live music from the locals or sunset walks. Other forms of night-time entertainment include fire dancing and even walking on coals, which is an extremely old tradition in Fiji that dates way back before the days of colonisation. If you’d like to see a firewalking ceremony, Beqa Island is the place for it. This sits south of the mainland and isn’t one of the islands that the Yasawa Flier visits, but you could take a separate boat over if you were really interested. The further up the Yasawa Islands you go, the larger the islands get and more varied their topography. They offer quite a few guided and independent long walks to waterfalls or lookout points. If you do wind up staying at Blue Lagoon, they offer a day trip to a nearby island that is uninhabited at the top of the Yasawa chain where you can catch a glimpse of the unique Sawailau caves. The second one is a bit more secretive – the only way in and out is through an underwater passageway. It’s also very common for backpackers to do their Open Water dive course here, learning how to scuba dive in PADI certified environments. The reefs are calmer, the crowds are smaller and the cost is a lot more affordable than in neighbouring Australia, a popular choice. Prices vary from resort to resort, but they generally all provide equipment for you and some include special dives like the bull shark feeding or a night dive. Most islands include a cultural element, too. Be it the very small islands that engulf you into the Fijian family who run the place, or the opportunity to attend Sunday mass with the locals (a big, fun activity for even the non-religious amongst us), there are a lot of opportunities to learn about the Fijian way of life. Fijians love sharing their culture, too. You can learn how to basket weave, and if you’re lucky maybe Semi on Barefoot Kuata will make you a bum bag with fresh leaves he chopped off a tree right before your eyes. You can also learn how to make beautiful jewellery with local women, whose craft includes a variety of shells and plant-based art. You can even make beautiful jewellery and artwork from coconuts. If you’re not the crafty type, you can always buy some pre-made pieces. The women bring an array of necklaces, earrings, bracelets and other handmade knickknacks like bookmarks or bowls. You can only imagine how innovative they are and resourceful, too. For those who may not have much time to stray too far from Nadi, or perhaps for those who do but are looking for one last fun activity on their way back to the mainland, there is a famous floating bar just an hour away from Port Denaru on Viti Levu called Cloud 9. It certainly feels like you’re on Cloud 9; it’s a floating bar in the middle of a tropical oasis. There are ample sun chairs so you can kick your feet up on a floatie in the middle of the Pacific Ocean, sipping on a nice cold cocktail. If you time it right, you may even see a live DJ on the Cloud. You can check out some of the past performers’ sets on SoundCloud to get a sense of the vibe and the tunes. A cousin to the Cloud 9 bar of sorts, but a bit more fast paced if you will, is Malamala Beach Club. They proudly own the title of world’s first beach club, and the island has all you could possibly need for a party in paradise. From the club to the bar, and the pool to the deck, there’s even a helipad on here. So, if it might be your thing, come and sip on one expensive cocktail, check out the scene and relax into uber luxury. You might just run into a celebrity. Hopefully you’ll be in town on a Sunday, too, because Fijians are avid church goers and love to share the experience with guests. Make sure you bring clothing that will cover your shoulders and knees. Bonus points if you bring something dressy along, as the locals always look the part for the weekly occasion. It’s a distinctively cultural experience in which Fijians often sing soulful and optimistic songs with grace and poise. While in Nadi, it’s a good idea to pick up a few souvenirs for your loved ones back home while in the city centre on Main Street. There are dozens of shops scattered around with jewellery, sarongs, bathing suits, and a mix of other typical and unique presents. Be on the lookout for the “Fijian Made” sticker on packages (some may say “Sewn,” “Grown,” “Packed, “Crafted,” Assembled,” or “Designed,” depending on what you’re buying). This stamp of approval is a legal government mandate to indicate a genuinely locally made product. Fijian food reflects influences from Polynesia, India, China and Western worlds, so you can imagine there will be a diverse abundance of things to eat. Fijian food is heavily influenced by the local environment. Expect lots of sea food and root crops as these are easily caught and grown locally, feeding both locals and visitors alike. In the towns, western food has started to prevail and hotels/hostels will usually serve western food as well. But you won’t find any big global chains like McDonalds or KFC, except when you’re on the mainland, so you may want to get your final fix before leaving Nadi. As mentioned earlier, you’ll likely be on a mandatory meal plan in Fiji so expect to eat quite a few hearty meals. They offer a mix of traditional, local fare and Western staples, as well as fresh seafood, fruits and vegetables. It’s easy for a vegetarian or even a vegan to indulge on the meal plan, although depending on your resort you may find that a lot of the buffet food includes meat, so your options may be limited. At some of the higher end places like Blue Lagoon and Octopus, you’ll find plenty of options for vegetarians and vegans, and they’ll ask you if you have any dietary restrictions before cooking your meal. One night a week at most resorts they offer Lovo, which is a big Fijian feast cooked traditionally. It’s a celebration of food, and your meal will be cooked underground. It takes roughly two hours to cook and typical foods include cassava (tapioca), kumala (sweet potato), taro, pork, fish, yam, lamb, and chicken. They cover up the feast with banana leaves or coconut stalks to provide insulation. Another famous part of Fijian food and drink culture is Kava, also known as Yaqona, which is the country’s national drink. Everywhere you go you’ll find Kava. It’s a staple in the Fijian diet, culture and social life, and has quite the acquired taste. Kava comes from the pulverised root of a cousin to the pepper, and many say it has medicinal qualities. Depending on how much Kava you have, it’ll probably leave you feeling mellow and a little tongue tied (as it also has a numbing effect on the tongue). So, there you have it – your ultimate guide to the Fiji Islands. Whatever you choose, be ready for ultimate relaxation and the most breathtaking beaches you may ever see. Vinaka vaka levu for reading! This Ultimate Guide to Fiji was written by Olivia Poglianich, aka Liv. She’s a passionate solo female traveller who hopes to inspire more backpackers to go on more adventures – even if they don’t think they have the time or the money. She’s from NYC but has been very lucky to live on 3 different continents and travel to all of them (except Antarctica – on the bucket list!). You can learn more tips, see more pictures or send her a note if you have any questions or want to be friends by checking out her Insta @LostWithLiv or her travel blog, LostWithLiv.com.